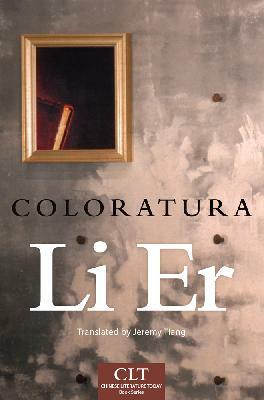 Li Er's first novel Hua Qiang/花腔 (sometimes translated as Coloratura, although I prefer my own translation Truth and Variations) was a labor of love ten years in the making. Short-listed for the 6th Annual Mao Dun Literary Prize (2002), it is often cited as one of the most original works in contemporary Chinese literature. Equal parts literary achievement and editorial tour de force, Hua Qiang is comprised of faux-historical documents, invented archival materials and pseudo-interviews spanning the Communist Revolution, Cultural Revolution and present day. The book recounts the search for the "historical truth" - a very fluid concept, according to the author - about the life and death of the protagonist, revolutionary poet Ge Ren (whose name in Chinese, incidentally, is a sound-alike for "individual").